The Patriots on Saturday have swung a trade with the Detroit Lions on the edge of cut-down time for the cornerback and special teams standout Johnson Bademosi. The Lions will get a 6th Round Draft Pick in the 2019 NFL Draft. The two teams have been frequent trade partners since Bob Quinn took over the GM duties for the Lions. He was a member of the Patriots front office and is close to Bill Belichick. Bademosi, 27, 6’0, 200 pounds signed with the Lions last season to become a key contributor on their coverage teams. He found some defensive reps through injuries last season but struggled in coverage. This move won’t be good news to the Patriots corners on the bubble with the roster cut-down due at 4 p.m. This entry was posted in Patriots Commentary, Patriots News and tagged 2017 Patriots Season, 53 Man Roster Projection, Bill Belichick, Johnson Bademosi, New England Patriots, NFL, Patriots, Patriots cornerbacks, Patriots special teams on September 2, 2017 by Steve Balestrieri. The Patriots head into training camp at the end of next week and there should be no shortage of competition at a number of spots. As a lead-in to the beginning of camp, we’ll break down the positions and give our take on who is a lock, a near lock for the 53-man roster and who is on the bubble. And we’re on to the Secondary and specifically the corners. So next up is the Patriots’ cornerback position. This spring the Patriots lost CB Logan Ryan who was a very valuable player for them. 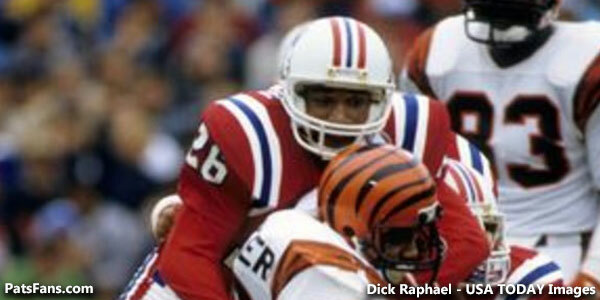 But the sting of his loss was more than made up for with the signing of Gilmore who came over from the Bills. All spring long the rumor had Malcolm Butler being traded but the deadline passed and he’s still here. That gives the team, embarrassingly deep riches at corner. Which means that they’ll be able to mix and match at the third or slot corner position depending on the opponent. The team laid out some healthy dough for Gilmore who is a bigger, physical corner and immediately upgrades the position. The Bills had him playing too much off-coverage which wasn’t his strength. And a look at the opposing schedule this season and the wide receivers that they’ll be facing shows that they selected Gilmore specifically with this in mind. He looks to be exactly what they’re looking for and thru the spring workouts, he was trying to glue himself tightly with the wide receivers in practice. They’ll be no off-coverage with him this year. The only question with him is how well he learns the defense and picks everything up. Butler was the subject of countless trade rumors going to the Saints this spring. But being a restricted free agent, New Orleans balked at paying the Patriots asking price of a 1st round pick. The end result was that no one else was going to pay the price either. Next spring? That may be a different story when Butler can hit free agency. But the other 31 teams’ loss is the Patriots gain. Butler has shown the ability to stick with opponent’s top receivers, be physical and stay on the field. He’s rarely banged up and never misses any practices or games. His biggest asset is his short memory. Butler can get beat on one play and unlike other corners who will dwell on that, he puts it right behind him and is back competing hard again. 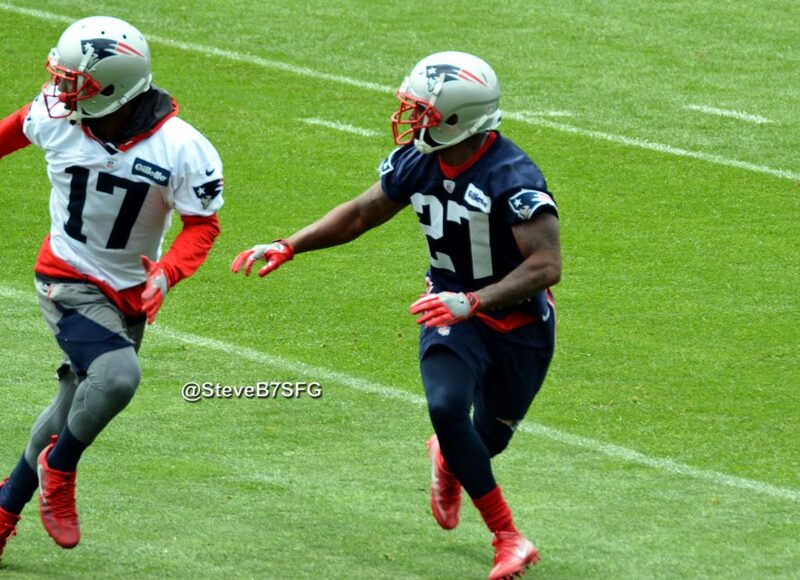 Together the duo of Butler and Gilmore on paper looks to be a very good one. The Patriots brought in Eric Rowe last season and the young, third-year corner bounced between the slot and outside at times. Whether that was dependent on matchups and moving Ryan into the slot or Rowe’s inability to is a subject for debate. 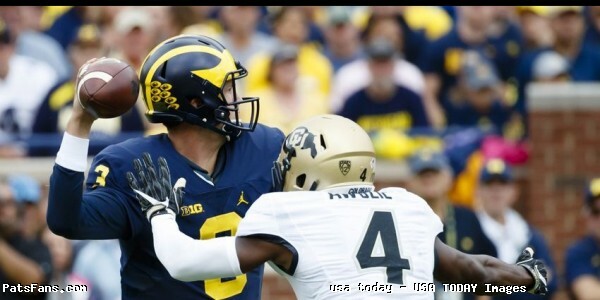 But he’s another big (6’1) corner who showed he can cover bigger wide receivers on the outside. Jonathan Jones certainly turned some heads this spring. One of the fast players on the team, Jones impressed enough last summer to earn a roster spot. This spring he was getting a lot of work in the slot where his speed and short area quickness can be brought to bear. He’s generously listed at 5’10 but seems to be a bit shorter than that. But if he can continue to stick to the slot receivers, he’ll see plenty of work in the secondary this season. Plus, his work on special teams makes him almost a lock. Cyrus Jones had a rookie season he’d probably like to block from his memory. Having superb return skill and experience, he was thought to provide the team with an immediate upgrade in the return game while competing for slot corner duties. Neither happened. Starting in minicamp, Jones treated kicks like kryptonite and he never made an impression on defense. To make matters worse he was ejected from one game for fighting. He’ll look to make a huge jump in play this summer but his leash will be much shorter. Still, by virtue of his draft position, he’ll probably be safe…for now. The Patriots got a good return from UDFA Justin Coleman who played some valuable snaps for them in 2015. The 24-year old probably thought his role would increase with the leaving of Logan Ryan and the Butler trade rumors. Now he’s going to have to fight and produce really well just to stick. Killings is one of those UDFAs that the Patriots seem to find every year and who carves out a roster spot. He didn’t get invited to the NFL Combine but had a very impressive Pro Day at Central Florida, running a 4.48 in the 40-Yard Dash, 6.97 in the 3-Cone Drill, leaping 37.5 inches on the vertical and doing 22 reps on the Bench Press which would have been tied for most by a defensive back. He’s feisty, competitive, and versatile. He’s lined up all over the field and is an intriguing guy. The Patriots liked him enough to guarantee him $31,000 this spring. Don’t go to sleep on him this summer. He’ll be a guy to watch. Without any of the top five guys getting injured, I don’t see much of a chance for any of these three guys to make a big enough impression to make the roster. These three are really fighting for practice squad eligibility. 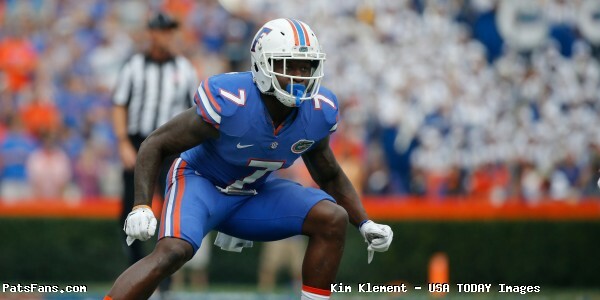 Likely is an undersized (5’7 but listed at 5’9 ½) corner who is very versatile and can play both offense and defense. He lined up as both a corner and a WR in the same game for Maryland in 2015. His size will make things difficult for him at the NFL level. Moore is another smaller (5’9) but very athletic slot corner from Valdosta State. He played both safety and in the slot but would have to make it with the Pats as a corner. Thomas is a versatile guy and has played strong safety, slot, and perimeter corner in his college career at LSU. He’s got good size at 6’0, 200-pounds for a corner but may be undersized at strong safety. He’ll have the time to make an impression but faces a pretty steep uphill climb. This entry was posted in Patriots Commentary, Patriots News and tagged 53 Man Roster Projection, Bill Belichick, Cyrus Jones, D.J. Killings, Dwayne Thomas, Eric Rowe, Jonathan Jones, Justin Coleman, Kenny Moore, Malcolm Butler, New England Patriots, NFL, Patriots, Patriots cornerbacks, Stephon Gilmore, William Likely on July 19, 2017 by Steve Balestrieri. The Patriots are in a state of flux at cornerback. They signed Stephon Gilmore to a big contract in free agency and the big corner is going to be looked at to provide man coverage on the many big WRs the team will face in 2017. Eric Rowe returns, after being brought over from Philadelphia, he played well in the second half of the season and into the playoffs. They have depth guys, Cyrus Jones, Jonathan Jones, and Justin Coleman. Coleman played a lot of snaps in 2015 and the two Jones should be expected to make a big jump in their second season with the team. But the big question remains on where will Malcolm Butler be in 2017. If the team can bring back Butler for at least the upcoming season on his tender, then the team will have a trio of starters with him, Rowe, and Gilmore that they’ll be able to mix and match with anyone and plenty of depth behind them. Corners, like edge rushers, however, you can never have too many good ones. So, if Butler is either dealt or signs an offer sheet elsewhere the team will look to add another corner. 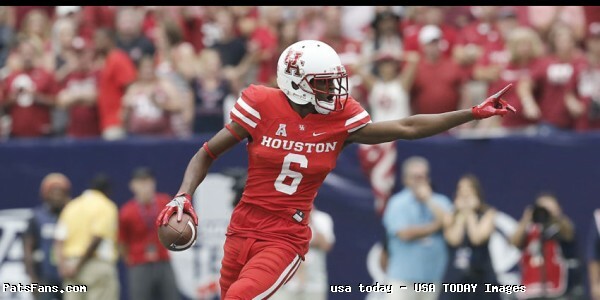 Howard Wilson from Houston is a very good athlete with excellent length, size, and speed to be a productive corner in the NFL. He has fantastic athleticism and has the loose hips that allow him to turn and mirror with wide receivers. He wins his share of 50/50 passes and shows tremendous instincts and ball skills. He has a very smooth back pedal and his technique and fundamentals are solid. Wilson made 54 tackles (45 solo), including 2.5 for a loss, and picked off five passes, had 10 passes defensed and recovered two fumbles for the Cougars in 2016. He’s smart, aggressive and can bait the opposing QB into making an ill-advised throw. At 6’1, 184-pounds he has the length but needs to add some weight at the NFL level. His experience is somewhat limited because he missed nearly the entire 2015 season with a torn ACL. However, it didn’t stop him from being a willing and aggressive tackler in the running game. Some scouts believe that Wilson could have been a first round pick in 2018 if he returned to college for one more season. He has tremendous short area quickness and ran a 6.68 in the 3 Cone Drill and a 3.94 in the 20-Yard Shuttle. Wilson will immediately challenge for some snaps at the position of nickel or slot corner. He’ll also be given some work as a gunner on special teams. Yes, he’ll need to spend some time in the gym with the strength and conditioning coach Moses Cabrera and bulk up a little bit between Years 1 – 2. With some experience, he should be ready to compete for a bigger role in the rotation in the secondary. He’ll compete with the Jones’ and Coleman right away for reps at the slot corner position. That will set some great competition for minicamp and training camp this summer. Good, he can provide kick coverage and will see some practice time as a gunner in the kicking game. Wilson is another guy who may just be flying under the radar a bit entering the 2017 NFL Draft. With a draft deep in talented cornerbacks, he has all the traits that you look for in a good, starting player on the outside. And sheer numbers may force him down into a lower draft position. He has tremendous instincts and can read the quarterback easily and accurately. His loose hips allow him to turn and run without loss of speed to mirror wide receivers down the field. Wilson’s short area burst and quickness coupled with good timing will allow him to break up or intercept passes. 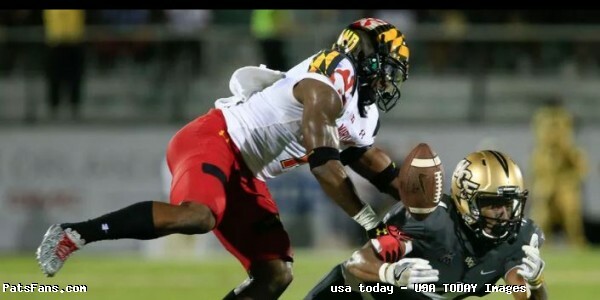 He’ll need to get a bit bigger and could possibly add another 10-15 pounds of muscle on his frame in the NFL. But he has excellent potential and could become a very productive corner for many years to come. He has the size, speed and athleticism, he just needs some more experience. Wilson will probably be available in the 3rd round of the draft. He’d be a nice addition to the Patriots defense as his skill set would mesh perfectly. With what they do as his man coverage skills should immediately provide him with not only the opportunity to get some reps in 2016 but become a productive, valuable cornerback in the defense. This entry was posted in 2017 NFL Draft, Patriots Commentary and tagged 2017 NFL Combine, 2017 NFL Draft, 2017 Patriots Season, Bill Belichick, Cyrus Jones, Eric Rowe, Jonathan Jones, Justin Coleman, Malcolm Butler, New England Patriots, NFL, Patriots, Patriots cornerbacks, Stephon Gilmore on April 1, 2017 by Steve Balestrieri. Who Will Be the Patriots’ Slot Corner in 2017? 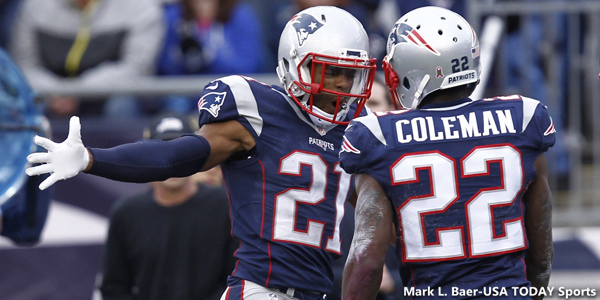 The Patriots will have an interesting mix on their hands at the cornerback position if they can persuade Malcolm Butler to come back at least for this season. They’ll have Butler, newly signed Stephon Gilmore, Eric Rowe, Cyrus Jones, Jonathan Jones, and Justin Coleman as their corners (as of right now) unless they add another in the draft. The question everyone is asking is, “Who will play in the slot?” And the easy answer is, all of them could at one time or another. With Rowe and Gilmore being 6’1, they could line up them outside and push Butler into the slot where he’d line up on the quicker shiftier receivers much like Logan Ryan and before him, Kyle Arrington did in the past. But the NFL being what it is, many teams now try to line up their big WRs in the slot attempting to get them more of a free release and take advantage of matchups. We’ve seen this many times, and the Patriots would have the option of sliding any of their corners around depending upon those matchups. Flashback to Super Bowl XLIX, Arrington was being matched up with the Seahawks Chris Matthews who had a huge size advantage on him. 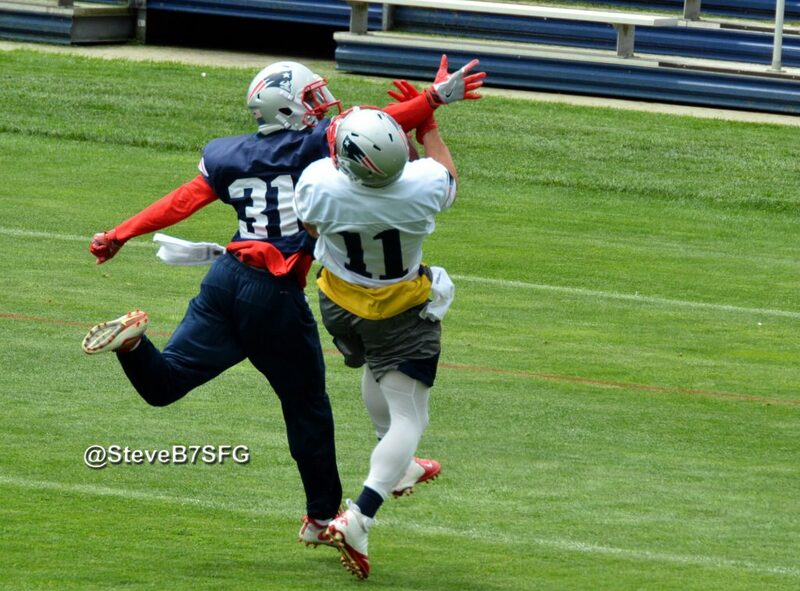 Bill Belichick then slid Brandon Browner into the slot and the physical 6’4 corner quickly erased Matthews. In 2016, the team used Butler and Eric Rowe on the outside and moved Logan Ryan into the slot. Butler has developed into one of the best corners in the game. He has a short-term memory, is very physical, doesn’t back down from a challenge and will jump up into the fray in support of the running game. He is outstanding in press man coverage at the line and is versatile enough to play on the outside or bump into the slot. He is a perfect fit, depending on the matchups to play in the slot. 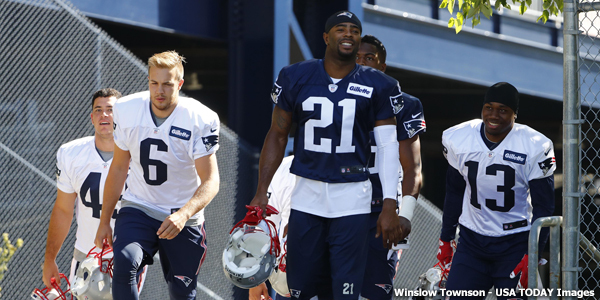 The Patriots would have two big corners in Gilmore and Rowe and a slightly smaller but very athletic Butler. This is a secondary that could mix and match with anyone. Things become slightly murkier however if they do end up trading Butler. The slot corner position would then be open for competition between Cyrus Jones, Jonathan Jones, and Justin Coleman. At that point, I think the Patriots would add a corner thru the draft if Butler leaves. But I truly believe sans Butler the job would be Cyrus Jones’ to lose. Forget about 2016, that nightmarish rookie season is long gone. He got off to a rocky start in minicamp last spring with issues holding on to punts in the return game and it carried over into the season. Jones is starting with a clean slate this spring and I expect much, much better results from him on the defensive side of the ball in 2017. He was much too good in Nick Saban’s defense in Alabama to forget how to play football. Jones has excellent press coverage skills, is a good, willing tackler in the running game and is more than athletic enough to cover anyone from the slot position. Obviously, without Butler, it would be a step-down, but the team and the rest of the secondary members could make it work. Coleman and Jonathan Jones are the dark horses here but never say never…especially in New England. Coleman played some in 2015 and did fairly well overall. Jones had some flashes in training camp a year ago but it will be interesting to see how he looks in Year 2. Devin McCourty at free safety and Pat Chung at strong safety in the box provide excellent overall play and still have plenty left in the tank although Chung’s physical play down low is bound to start taking a toll on his body soon. Duron Harmon was brought back with a nice new deal that works well for both sides. He’s the guy that comes in for the Big Nickel formations. One player that may be replaced this summer is Jordan Richards. He’s been disappointing and is too stiff in the hips to be a consistent player in coverage. The best-case scenario? Butler signs his tender and returns with a big chip on his shoulder and wants to show the rest of the league that he deserves a big money contract. With Gilmore, Rowe, and he providing three very good cornerbacks, the defense will be ready for the cavalcade of opposing QBs that they’ll face in 2017. 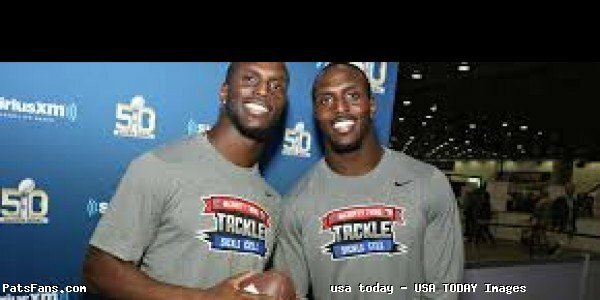 This entry was posted in 2017 Free Agency, Patriots Commentary and tagged 2017 NFL Combine, 2017 NFL Draft, 2017 Patriots Season, Bill Belichick, Cyrus Jones, Devin McCourty, Duron Harmon, Eric Rowe, Jonathan Jones, Jordan Richards, Justin Coleman, Malcolm Butler, New England Patriots, NFL, Pat Chung, Patriots, Patriots cornerbacks, Stephon Gilmore on March 31, 2017 by Steve Balestrieri. The Patriots lost Logan Ryan in free agency and the jury is still out on whether Malcolm Butler returns at least for the 2017 season. 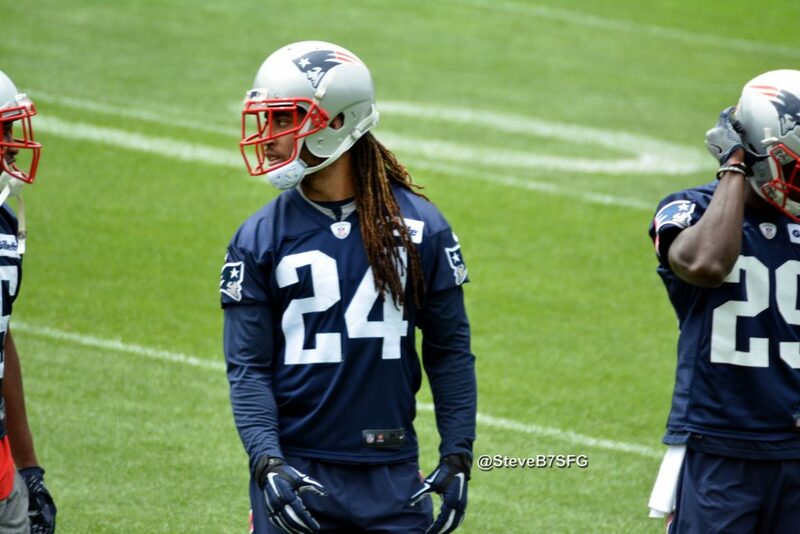 With the signing of Stephon Gilmore, the Patriots can still use another corner, especially if Butler is indeed traded. That would leave them with Gilmore and Eric Rowe outside with Jonathan Jones, Cyrus Jones and Justin Coleman battling it out for the third corner position. The draft is deep as usual in good talented cornerbacks, with many talented players being available in the middle rounds. And with no current picks in the first or second round, the Patriots will be selecting starting in Round 3. So, we’ll base our player profiles (for now), on players we think will be around then. Chidobe Awuzie from Colorado is a cornerback with excellent size and strength that can play both press man and zone. He’s versatile and has covered outside as well as inside in the slot. Was Second Team All-Pac 12 in 2015 and 2016. Made 65 tackles, with 12 passes defensed, two forced fumbles and an interception in 2106 for the Buffaloes. He’s got the size, 6-0, 202-pounds to line up outside and matchup with the bigger wide receivers. He’s got good footwork for a bigger corner and is smooth at turning and running with wide receivers. He has a good jam at the line of scrimmage and has played confidently and well when put on an island against a top opposing WR. His top end speed isn’t fantastic but he should be able to run and mirror well. Awuzie is good in run support although at times he wasn’t as aggressive as he should have been. Colorado used him as a blitzer his final two years and he was productive, notching seven sacks coming off the edge. Awuzie would immediately compete for reps. Initially, that may be inside in the slot where he has played in the past. He has the size and athleticism to match up anywhere. Yes, with improved play in run support and tackling, he could vie for starter’s reps on the right side opposite Gilmore. Good, he played some in Colorado and you can expect to see him on the coverage units as a gunner for the Patriots. Awuzie was essentially a starter since the end of his freshman year. He’s got lock-down corner qualities and is athletic, versatile, and aggressive. He’s very alert and instinctive on the field with good ball skills when the throw is on the way. For a bigger corner, he can change direction quickly and will mirror even the smaller, shiftier slot wide receivers down the field. His top end speed was thought to be a question but ran well (4.43) at the Combine. Awuzie is a smart, physical player that rarely makes mistakes or is out of position. His tackling can be an issue as he tends to go too high, where in the NFL the bigger receivers or tight ends can break those for yards after the catch. He’s a guy that would fit in well with New England if they decide to pursue him. He’s got very good size, is aggressive and versatile, a facet of his game that plays well with Bill Belichick. He can play outside or in the slot. That quality as the potential third corner allows Matt Patricia to use him as a matchup player either inside or out. He’s a dangerous and effective blitzer off the edge and can play gunner on Special Teams. Awuzie is a player that may be around in Round 3 when the Patriots get to make their first selection. If he’s still there, then he’d be a good fit for New England and will immediately compete for starting reps as the third corner. This entry was posted in 2017 NFL Draft, Patriots Commentary and tagged 2017 NFL Combine, 2017 NFL Draft, 2017 Patriots Season, Bill Belichick, Chidobe Awuzie, Cyrus Jones, Eric Rowe, Jonathan Jones, Justin Coleman, Malcolm Butler, New England Patriots, NFL, Patriots, Patriots cornerbacks, Stephon Gilmore on March 27, 2017 by Steve Balestrieri.